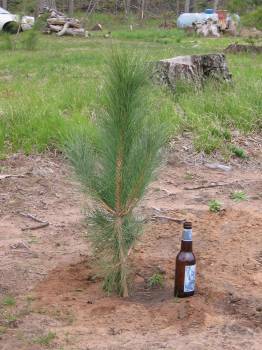 This beer-bottle sized tree is one of many that my sister and brother-in-law have recently planted at Yellow Lake. It's a sign of hope to me. A symbol of the way we move on after the shocks and surprises that life and nature can spring on us. The way we pick ourselves up, buy some trees, plant them in the ground, wait for them to grow. Many of you are aware that some of my fellow writers and I received a different kind of shock recently--the news that Frances Lincoln Children's Books' children's fiction list is to be discontinued. 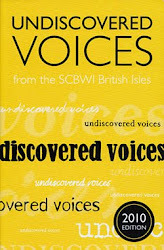 Keren David have all written eloquent posts about a corporate decision that has led to heart-breaking disappointment for many talented writers, and created a sense of frustration and anger among people who value the kind of unique list that Maurice Lyon and Emily Sharratt were developing. Chris, Keren, Zannah and other Frances Lincoln writers have also, of course, expressed their determination to carry on--to continue creating unforgettable characters, spell-binding plots, thrilling stories. As for me, I am grateful to have had the opportunity to work with the wonderful team at Frances Lincoln. At Yellow Lake would not have been published without Maurice's enthusiastic support and would not be the book that it is without Emily's skill and insight as an editor. I know that anyone who's lucky enough to work with either of them in the future will feel as lucky as I do. So, it's almost time to launch At Yellow Lake and I'm determined that the event it will be a great celebration--not just for my book or for me, but for all of us who've been able to work with such magnificent people. So let's drink some beer, my friends. And then let's plant some more trees! Good luck, Jane, for both your book and your beer bottle sized tree. I am looking forward to reading At Yellow Lake - not very much longer to wait now! Enjoy the launch. I'm looking forward to reading the book. Thanks, everyone, for your kind comments. Look forward to the beers (and the wine)!